They’re seized in the dead of night, blindfolded and cuffed, abused and manipulated to confess to crimes they didn’t commit. Every year “Israel” arrests almost 1,000 Palestinian youngsters, some of them not yet 13. It was a gloomy, typically chilly late-February afternoon in the West Bank village of Beit Ummar, between Bethlehem and Hebron. The weather didn’t deter the children of the Abu-Ayyash family from playing and frolicking outside. One of them, in a Spiderman costume, acted the part by jumping lithely from place to place. Suddenly they noticed a group of “Israeli” soldiers trudging along the dirt trail across the way. Instantly their expressions turned from joy to dread, and they rushed into the house. It’s not the first time they reacted like that, says their father. In fact, it’s become a pattern ever since 10-year-old Omar was arrested by troops this past December. The 10-year-old is one of many hundreds of Palestinian children whom “Israel” arrests every year: The estimates range between 800 and 1,000. Some are under the age of 15; some are even preteens. A mapping of the locales where these detentions take place reveals a certain pattern: The closer a Palestinian village is to a settlement, the more likely it is that the minors residing there will find themselves in “Israeli” custody. For example, in the town of Azzun, west of the Karnei Shomron settlement, there’s hardly a household that hasn’t experienced an arrest. Residents say that in the past five years, more than 150 pupils from the town’s only high school have been arrested. 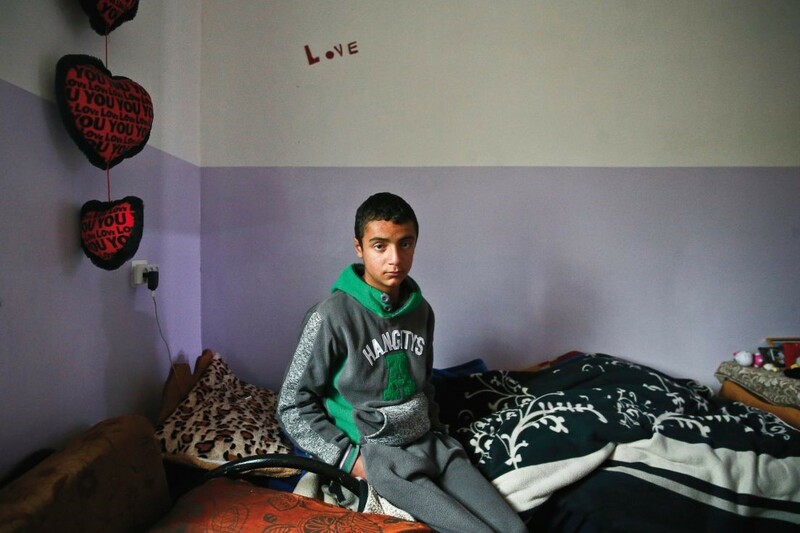 At any given moment, there are about 270 Palestinian teens in “Israeli” prisons. The most widespread reason for their arrest – throwing stones – does not tell the full story. Conversations with many of the youths, as well as with lawyers and human rights activists, including those from the B’Tselem human-rights organization, reveal a certain pattern, even as they leave many questions open: For example, why does the occupation require that arrests be violent and why is it necessary to threaten young people. 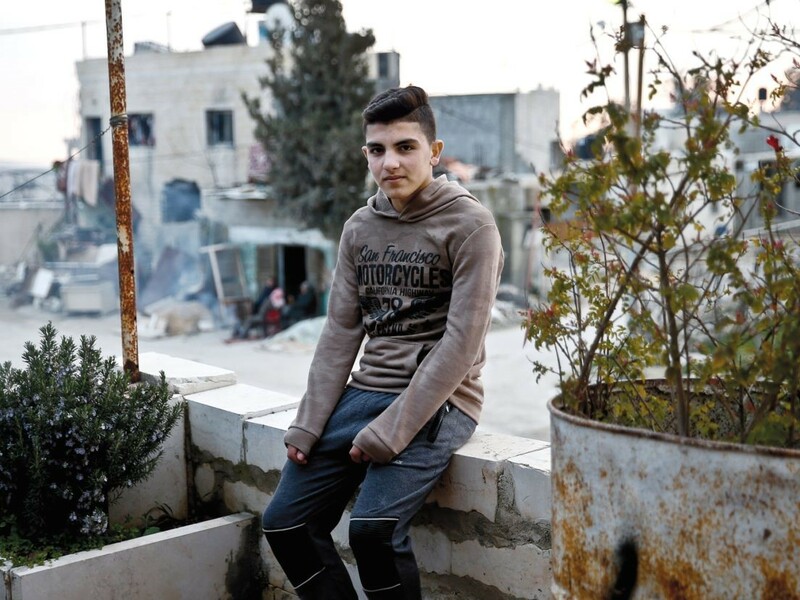 About half of the arrests of Palestinian adolescents are made in their homes. 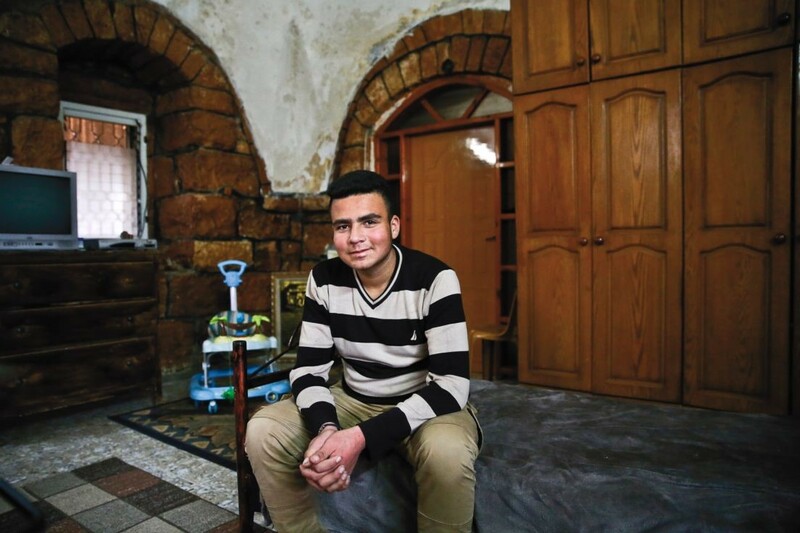 According to the testimonies, “Israeli” soldiers typically burst into the house in the middle of the night, seize the wanted youth and whisk him away (very few girls are detained), leaving the family with a document stating where he’s being taken and on what charge. The printed document is in Arabic and Hebrew, but the commander of the force typically fills out the details in Hebrew only, then hands it to parents who may not be able to read it and don’t know why their son was taken. In many cases the children’s hands are handcuffed from behind. An “Israeli” soldier from the Nahal infantry brigade admits that his unit arrested a boy “of about 11,” but the handcuffs were too big to bind his small hands. The next stage is the journey: The youths are taken to an “Israeli” army base or a police station in a nearby settlement, their eyes covered with flannelette. “When your eyes are covered, your imagination takes you to the most frightening places,” says a lawyer who represents young Palestinians. Many of those arrested don’t understand Hebrew, so that once pushed into the army vehicle they are completely cut off from what’s going on around them. In most cases, the handcuffed, blindfolded youth will be moved from place to place before actually being interrogated. Sometimes he’s left outside, in the open, for a time. In addition to the discomfort and the bewilderment, the frequent moving around presents another problem: In the meantime many acts of violence, in which “Israeli” soldiers beat the detainees, take place and go undocumented. Once at the army base or police station, the minor is placed, still handcuffed and blindfolded, on a chair or on the floor for a few hours, generally without being given anything to eat. It is the “endless trip to hell”. Young Palestinian detainees under guard. Soldiers typically burst into the house in the middle of the night, seize the wanted youth and leave the family with a document stating where he’s being taken. According to the testimonies, the interrogators’ threats are directed squarely at the boy [“You’ll spend your whole life in jail”], or at his family [“I’ll bring your mother here and kill her before your eyes”), or at the family’s livelihood [“If you don’t confess, we’ll take away your father’s permit to work– because of you, he’ll be out of work and the whole family will go hungry”]. 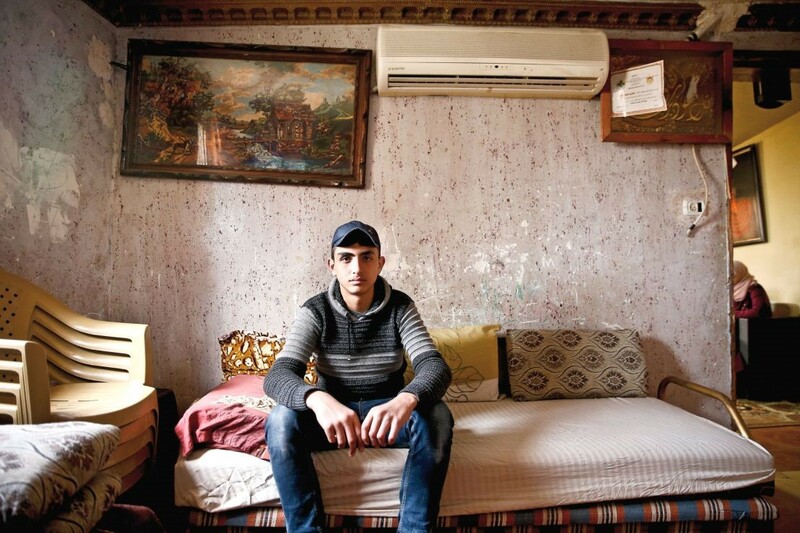 Whether the young detainee has signed a confession or not, the next stop is prison. Either Megiddo, in Lower Galilee, or Ofer. 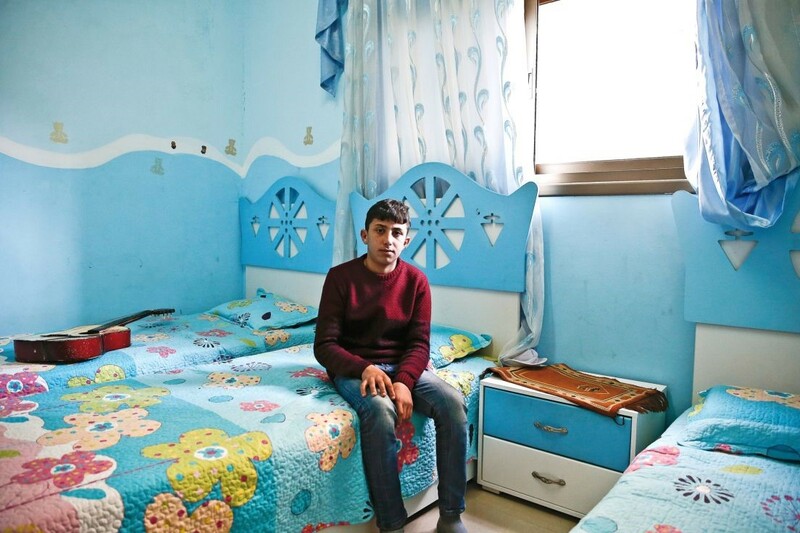 Khaled Mahmoud Selvi was 15 when he was brought to prison in October 2017 and was told to disrobe for a body search [as in 55 percent of the cases]. For 10 minutes he was made to stand naked, along with another boy, and in winter. The months in detention, waiting for trial, and later, if they are sentenced, are spent in the youth wing of the facilities for security prisoners. The children don’t speak with their families for months and are allowed one visit a month, through glass. Far fewer Palestinian girls are arrested than boys. But there is no facility especially for them, so they are held in the Sharon prison for women, together with the adults. The courtroom is usually the place where parents have their first sight of their child, sometimes several weeks after the arrest. Tears are the most common reaction to the sight of the young detainee, who will be wearing a prison uniform and handcuffs, and with a cloud of uncertainty hovering over everything. “Israel” Prisons Service guards don’t allow the parents to approach the youth, and direct them to sit on the visitors’ bench. According to data of collected by the British-Palestinian NGO, 97 percent of the youths arrested by the “Israeli” army live in relatively small locales that are no more than two kilometers away from a settlement. In the case of reported stone-throwing incidents, he says, the commander’s assumption is that the Palestinians involved are young, between the ages of 12 and 30, and that they come from the nearest village. Often the officer will turn to the resident collaborator in the village, who provides him with the names of a few boys. Khaled’s story is told by his father, Murad Shatawi: “On the night he was arrested, a phone call from my nephew woke me up. He said the house was surrounded by soldiers. I got up and got dressed, because I expected them to arrest me, on account of the nonviolent demonstrations I organize on Fridays. I never imagined they’d take Khaled. They asked me for the names of my sons. I told them Mumen and Khaled. When I said Khaled, they said, ‘Yes, him. We’re here to take him.’ I was in shock, so many soldiers showed up to arrest a boy of 13. “After a while, they took me from Kedumim to Ariel, and I was there for five-six hours. They accused me of throwing stones a few days earlier with my friend. I told them I hadn’t thrown any stones. In the evening they moved me to the Hawara detention building; one of the soldiers told me I would never leave there. In the morning I was moved to Megiddo Prison. They didn’t have prisoners’ uniforms in my size, so they gave me clothes of Palestinian children who had been there before and left them for the next in line. I was the youngest person in the prison. “In the morning, they moved me to the interrogation facility in Ariel. The interrogator told me that the soldiers caught me throwing stones. I told him that I hadn’t thrown stones that I was on my way home from the store. So he called the soldiers into the interrogation room. They said, ‘He’s lying, we saw him, he was throwing stones.’ I told him that I really hadn’t thrown stones, but he threatened to arrest my mother and father. I panicked. I asked him, ‘What do you want from me?’ He said he wanted me to sign that I threw stones at soldiers, so I signed. The whole time I didn’t see or talk to a lawyer. 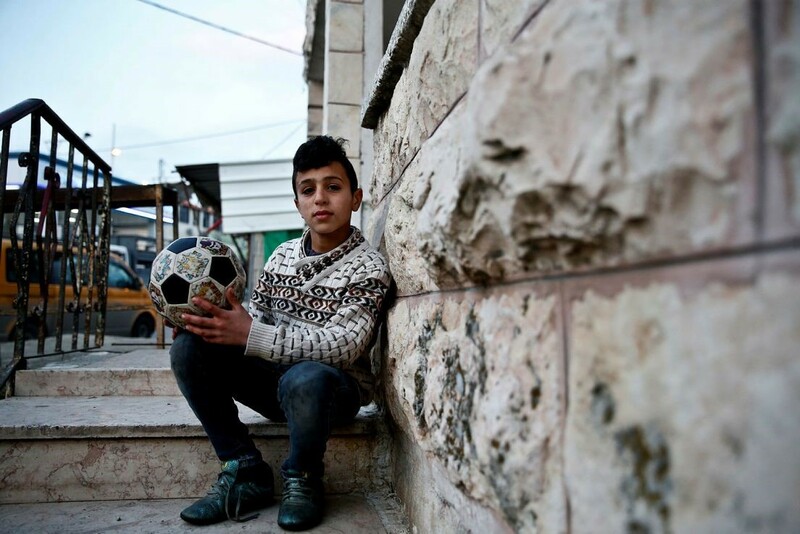 “My interrogation started at 8 A.M… They asked me to tell them which children throw stones. I said I didn’t know, so the interrogator gave me a slap. The interrogation went on for four hours. Afterward, they put me into a dark room for 10 minutes and then took me back to the interrogation room, but now they only fingerprinted me and put me into a detention cell for an hour. After an hour, Uday and I were moved to Ofer Prison. I didn’t sign a confession, neither about myself nor about others.